It's a blistering 28 degrees as I walk through the streets of South Kenton. It's the hottest day in April since 1949 and the sun beams down so bright my phone screen turns to glare — I can't make out the directions from Google Maps. Not that it would be much help if I could see it, deep into the realms of zone four, phone signal has abandoned me. That's when — like a mirage in the desert — I see it. Standing tall, proud and draped in bunting. I've reached my destination. 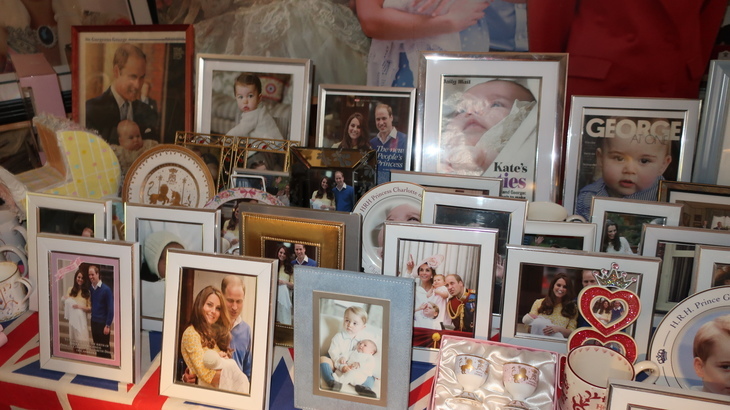 The home of London's biggest royal family fan. I stand in awe for a few moments to take it all in. 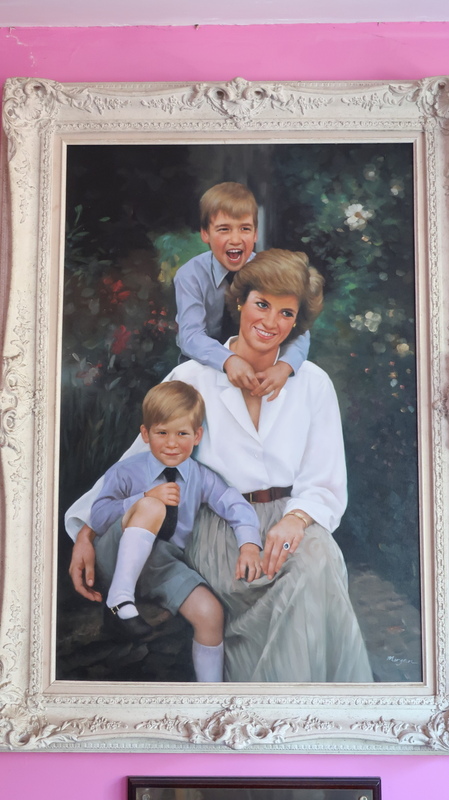 The portraits of each major living royal that adorn her house. The glass beefeater sculpture next to her front door. The Jubilee Walkway stone she has built into her front porch. Finally, the banner hanging overhead, congratulating the Duke and Duchess of Cambridge on the birth of their — at the time of my visit, unborn— baby. After ogling the outside of her home, I knock on Margaret's front door. 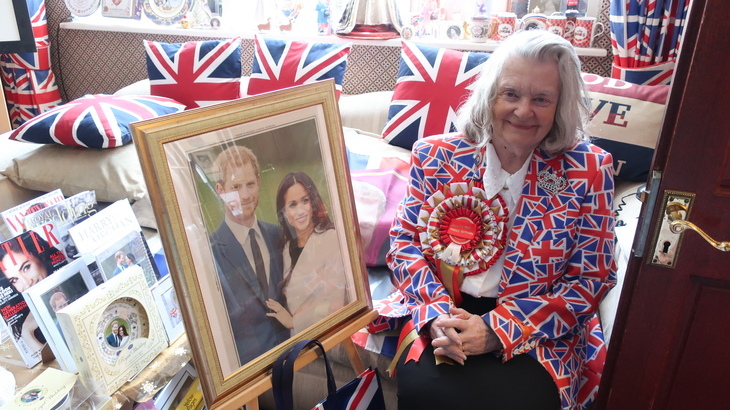 She opens it and greets me wearing a blazer blanketed in Union Jacks, with a rosette pinned to it wishing the Queen a happy birthday (the very next day). She welcomes me in and we step inside to her living room, a place like absolutely no other. I go to sit down on the sofa but manage to stop myself moments before crushing some framed images of Margaret meeting a few different Royals. She says they're hardy things, and invites me to brush them aside, so we can chat about this incredible collection. 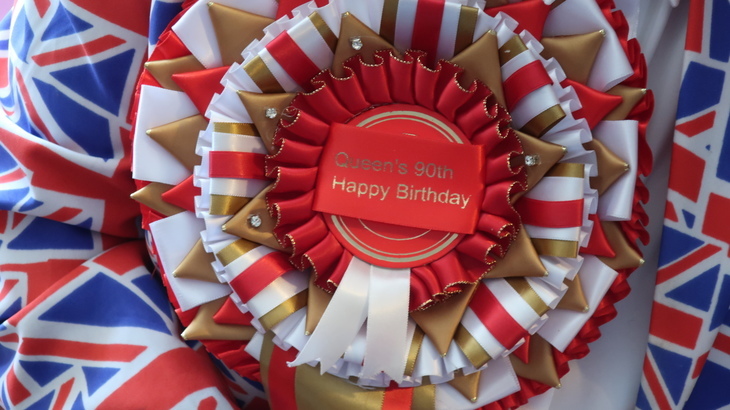 The rosette that Margaret wore. Where does someone even start to find stuff like this? "Covent Garden Market, I go to on a Monday quite a lot. I started with them, because I worked near there. That was 40 years ago, so whereas a mug would be £3 then, they're about £25 now. It's valued at £40,000 by my insurers, the collection. Because they say it's got to be valued separate from the house, because it's not a normal house." A collection like this doesn't blossom overnight. 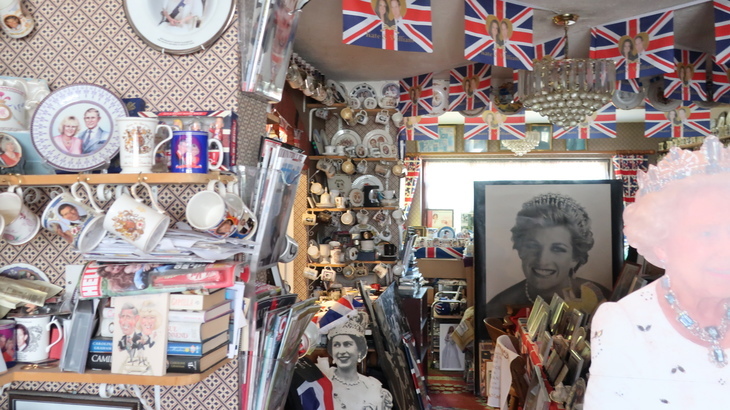 It's taken Margaret 40 years to grow and curate everything here. "A lot's happened in that time. Charles and Diania's wedding, Andrew and Sarah, Edward and Sophie... unfortunately you've had divorces as well. 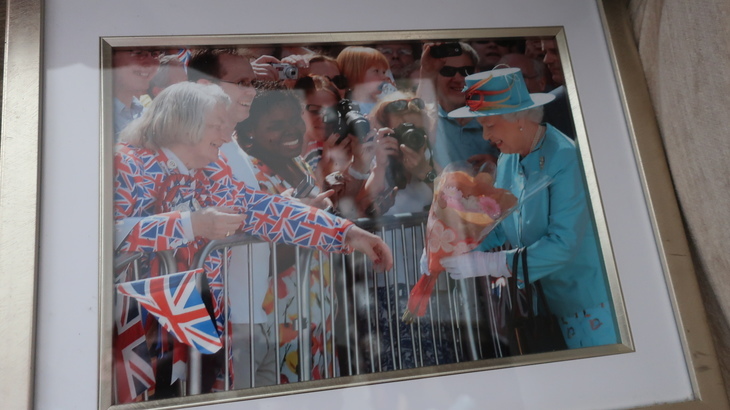 Lots of babies, the Queen's got great-grandchildren now." "She's 92 tomorrow [her real birthday]. She's so compos mentis. I've met her four times now, I gave her a cake for her 80th and 90th birthdays and flowers two others time as well. She's fantastic, she's sparkly, she's got a lovely smile, she's brilliant, absolutely brilliant. She's like the mother of our country, I feel that she holds it together." It's the pictures of these meetings that I sit among, and suddenly one comes crashing to the ground, accidentally nudged off the sofa by me. I look up expecting to see Margaret's face etched with horror but there's none. She smiles benignly and tells me that they'll be fine, it happens all the time. Unfazed, she returns to chatting about her collection, something she's clearly got a lot of experience in doing. 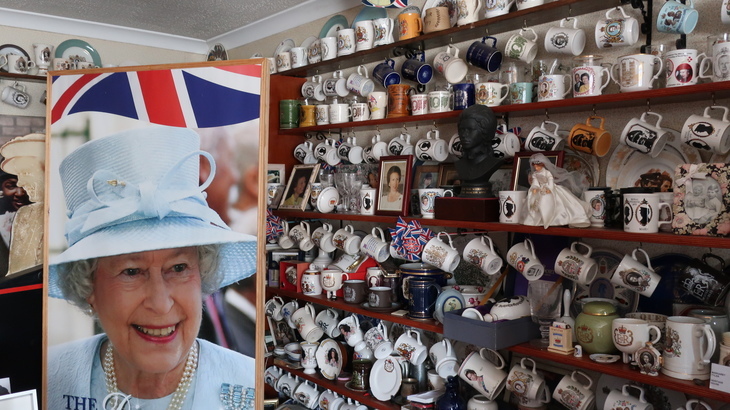 "Those are all her coronation mugs up there. I was given one at school, but I seemed to have got a lot of other people's... I bought them," she hastens to add. "That bunting up there is about 50 years old. 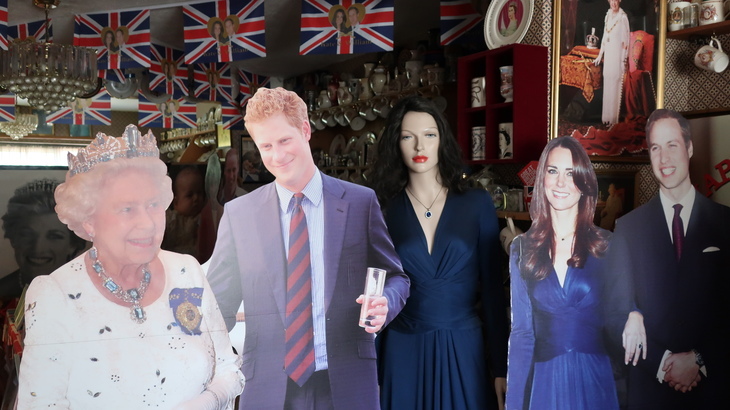 A lot of the stuff I get from the royal shops in Buckingham Palace Road." These are the official pieces that tend to feature insignias rather than photos and paintings of family members' faces. Nearly everything in the house, she's carried back on the tube. "People probably think 'Oh, it's that mad woman from Wembley again'," she jokes. "But they're very amenable, they'll open doors for me and things like that, they're very sweet." She joyously quips, "They say I put South Kenton on the map!" Other stuff just comes to her. "I get boxes of stuff left on the doorstep when I'm out. Somebody clearing out a house or a flat of their parents, and they don't really know what to do with it, they don't want to throw it away — because it's royal, they feel they shouldn't." So where does this obsession stem from? Margaret doesn't quite know, though she muses that it might have been a way to entertain herself as an only-child. She then tells me her first royal memory from her youth. "When I was eight, the King died — when I was nine Elizabeth was crowned Queen." It was a different era however and Margaret's father refused to get a TV. "I never saw it, I was so upset. I just wanted to watch it." Next time, she made sure not to miss out. "When I was 16, we had the day off school because Princess Margaret got married. I went to my friend's house and she said, 'What should we do today?' And I said, 'Well I want to watch the Royal Wedding.' Her mother and I sat and watched it, and she flounced off because she didn't care at all." When Margaret's four children lived at home, there was less space for the royals. However, "as they've moved out, the Royals have moved in." 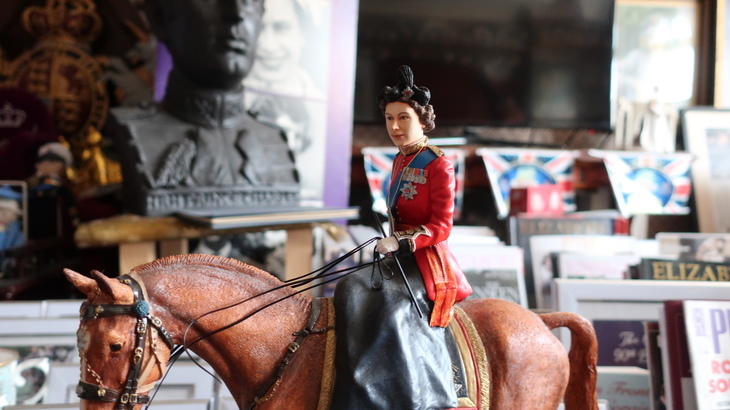 Hidden away among the troves of royal-related items is a small corner dedicated to her own family. Margaret admits that is a point of mild teasing every time they are over. Since her children left, it's not only the royals joining Margaret, but paying guests — Heritage House is a functioning B&B. 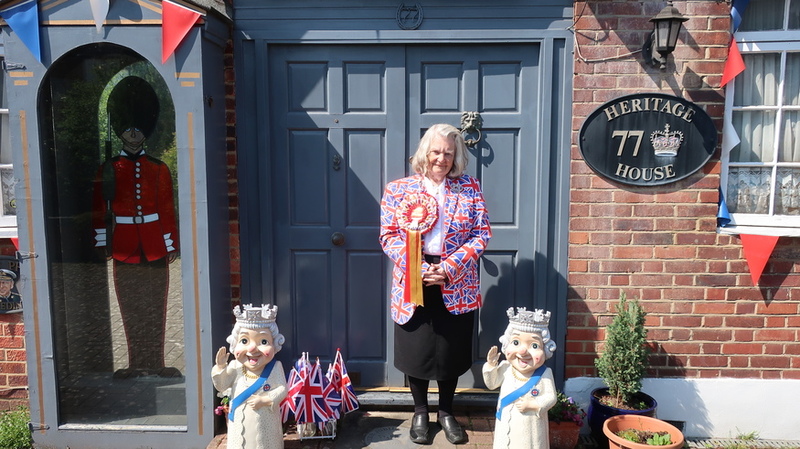 Initially this had nothing to do with her royal fandom. Instead it was taking advantage of a massive local infrastructure project. "At first I had people [staying] who worked at Wembley, when they were building the stadium. Now it's turned more into a royal B&B." The happy couple, although Meghan looks a tad terrifying with that air hug. 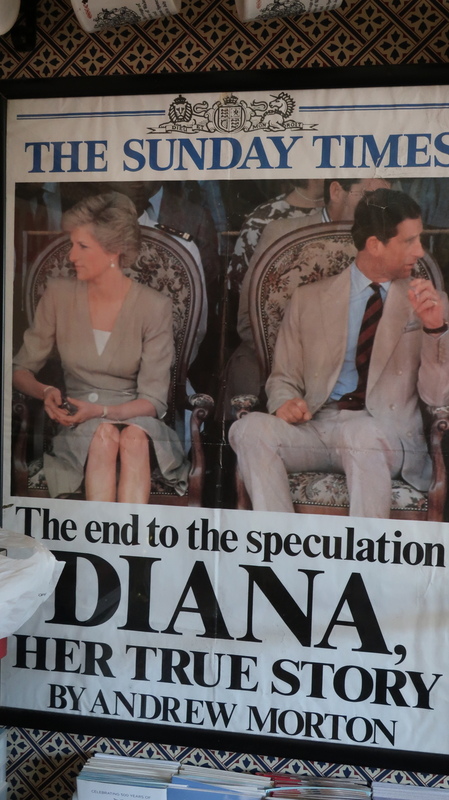 The conversation moves onto a particular couple, the reason everyone's been talking about the royal family recently. 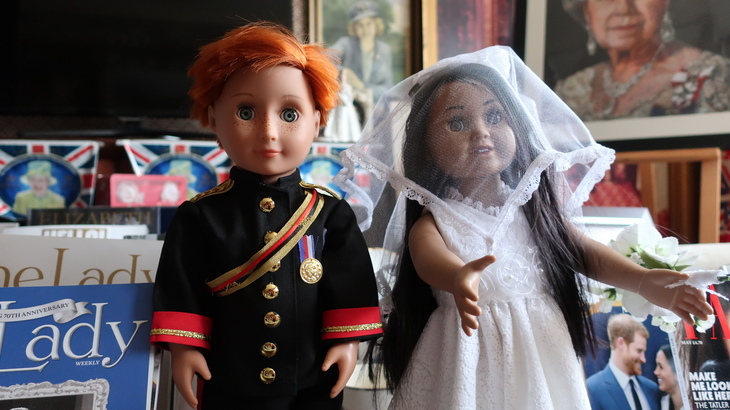 Harry and Meghan. "It's massive isn't it. And they're growing by the minute." I ask whether she thinks Harry marrying a divorcee is controversial. "Things are different now. Charles is a divorcee, Camilla is a divorcee, and nobody is saying anything about that. It's what happens, it's modern." Speaking of divorces, it's perhaps a tad strange to see them also memorialised in the house, in the form of framed newspaper pages. 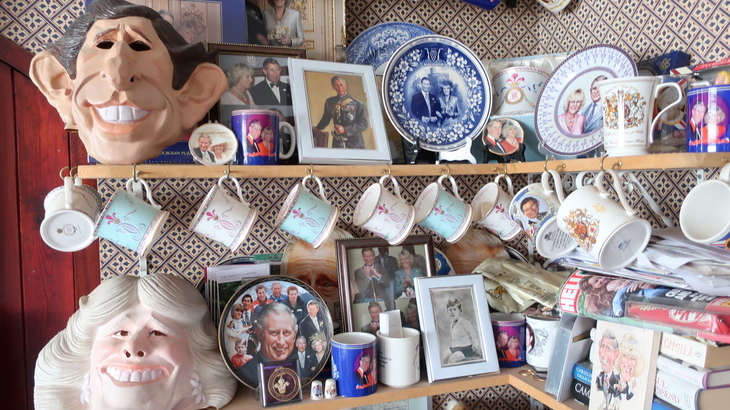 Though this is a shrine to the royals, it's perhaps an unusual one in that it's ok with showing some of its less proud moments. Moving back to Meghan, Margaret takes her cues from someone she has unerring faith in. "Obviously the Queen approves, Meghan stayed with them over Christmas, and that never happens, you have to be married to stay [with the Queen]. The Queen seems very supportive and if it's good enough for the Queen, then it's good enough for us." Margaret went down to Kensington Palace on the day they announced the engagement — she attends most major royal announcements. "It was freezing, I've never been so cold in my life, I had so many cups of tea just to try and thaw out." She spent the day doing what she often does at these events, giving earnest interviews to media conveying her genuine joy. She tried to get tickets to the wedding, but alas no luck. "I wrote in to see if I could have a ticket to go near it — I did for Prince Edward. They wrote to me the other day and said they were very sorry but they don't have any tickets. So I'm just going to have to get down there, because they reckon that by nine o'clock in the morning they'll shut it all off." Needless to say, Margaret will be there much earlier. That's not the only big royal news happening at the moment, as the baby-congratulating banner outside reminds us. "One lady thought it was me! She knocked on the door and said 'have you had a baby?' I told her, 'I'm too old to have babies, love.' It's amazing what people knock on my door for. One lady came and asked 'What time do you open? ', she thought this was a museum." That assumption isn't as ridiculous as Margaret makes it out to be. Most museums would be delighted to have a collection as extensive as this. Deeper into the house from where we're sitting is what once was a dining room, now an area focused on Will, Kate and their kids. "When my children — and my grandchildren — come for dinner, they have to eat off their laps... which they're getting used to." Exceptions are only made for Christmas. With so much love for the entire family, is it possible that Margaret cherishes one above the rest? Or is that like picking a favourite child? "I was called Diana's number one fan when she was alive. I met her six weeks before she died, at [nearby] Northwick Park Hospital. I gave her a rose and I had a rosette on that I'd made with her photograph on it. She saw it and threw back her head and laughed and said, 'Oh you have got it bad.' I was on cloud nine." 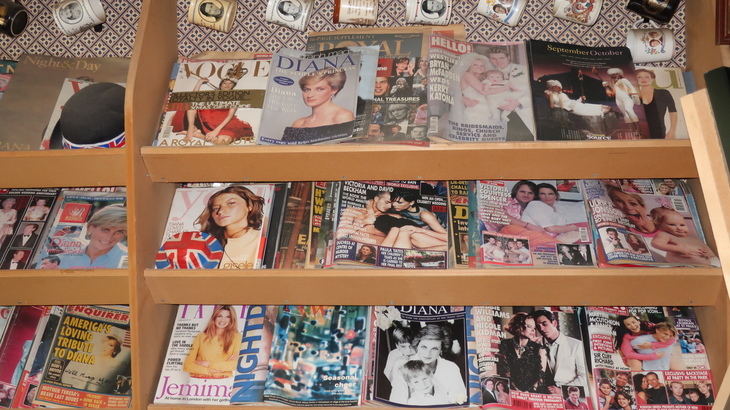 Margaret is such a massive Diana fan that she has an entire room in her house dedicated to her. She's the only royal to receive such a privilege — although the Jubilee room is mostly centred on the queen. The Diana room, like all the others, is brimming with stuff. 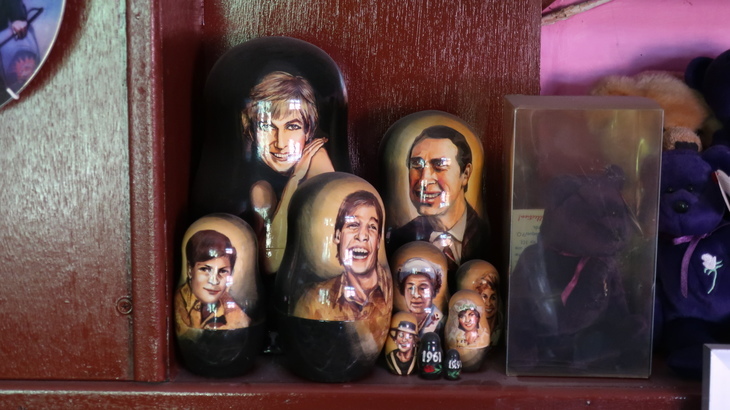 There's an incredible set of Royal Family Russian dolls, surely the best thing this room has to offer... but then I look up. 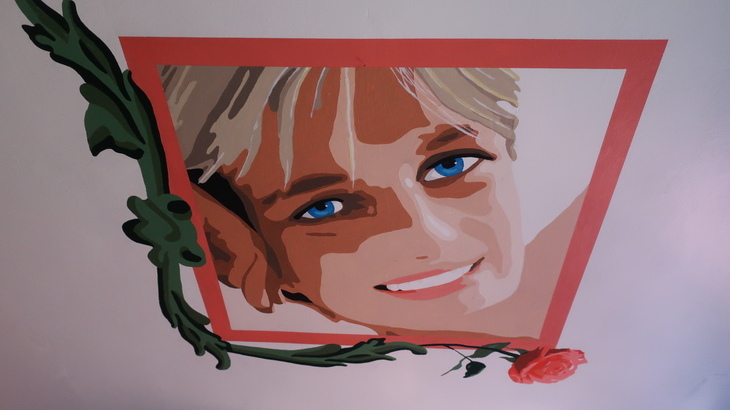 There, painted on the ceiling, is Diana herself, looking down on me (and a room dedicated to her). 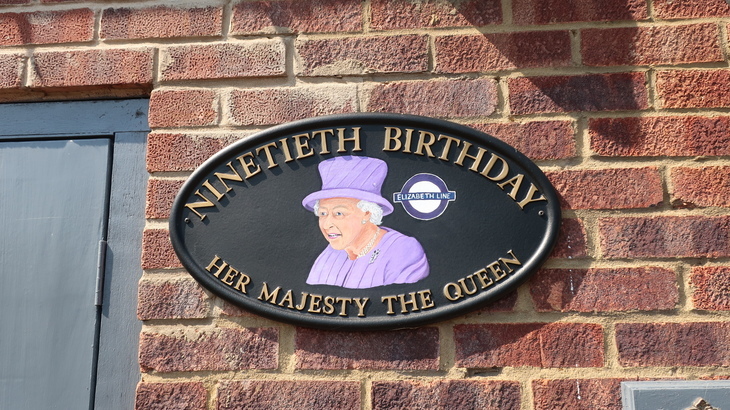 At Londonist we don't cover the royal family too much, though Elizabeth's name has featured much more prominently site in recent weeks due to a certain railway line — or as we stubbornly call it, Crossrail. Unsurprisingly Margaret is delighted about the name-change: "I think it's a lovely idea." Well that makes one of us. With a house filled with so many so things, what would she do were something terrible to happen — say a fire — and she could only save one thing. Margaret grimaces for a second before deciding. "I've got a painting of Diana, which I do like very much. My children bought it for my birthday. It's a very good likeness. When she died, the person who painted it rang me up and said, 'I wish I hadn't sold it to you.' I said, 'I'm so sorry, but I will look after it.'" Look after it — like so everything else in this wondrous house — she has done.